What did you do last weekend? 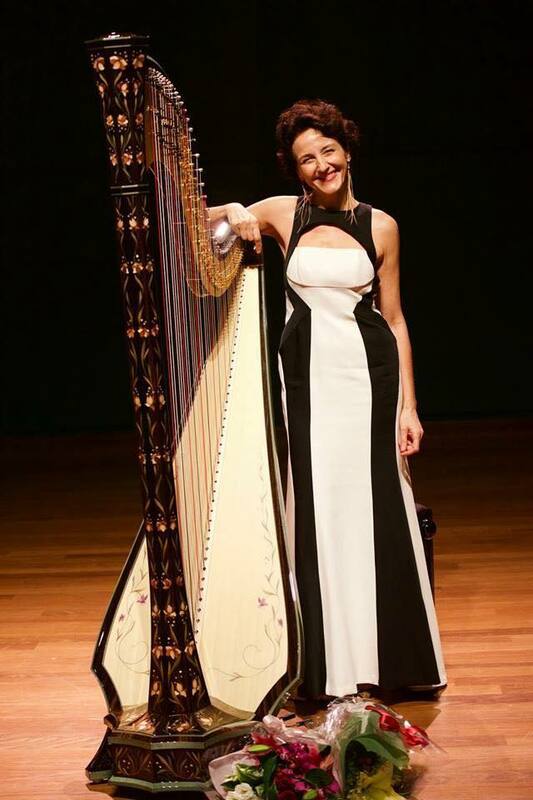 Here at Rave Harps, we got the pleasure of spending with the wonderful Isabelle Moretti. What an amazing weekend it was! The Masterclass with Isabelle Moretti kicked off the weekend! Our studio was filled with eager learners, both active and non-active participants, ready to catch every word that came out of her mouth. As each participant went up, we learnt so much from the little insights and teachings from Isabelle Moretti! Particularly in posture at the harp, breathing with the music, and also to remember to relax our wrists while playing. It was a long but fulfilling day of learning for everyone! Look at all those satisfied (and relieved) smiles after finishing their Masterclass with Isabelle Moretti! The next day brought us to the Open Stage at the Library@Esplanade. It was the afternoon of the Prestige Awards showcase and Prize Presentation Ceremony. At 3 o’clock, into the library streamed 19 excited performers all ready to perform their selected piece. Before them gathered a crowd that were armed with cameras, curious and anticipating the event before them. Amidst the buzz in the air, it was evident that Prestige Award Participants put up a brilliant showcase! 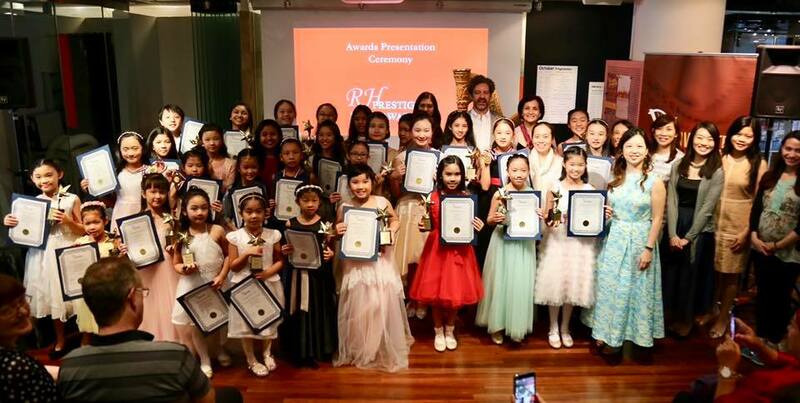 After the performance, we had a Guest of Honour, Mr Jakez Francois, president of Camac Harps to present the awards to the participants. 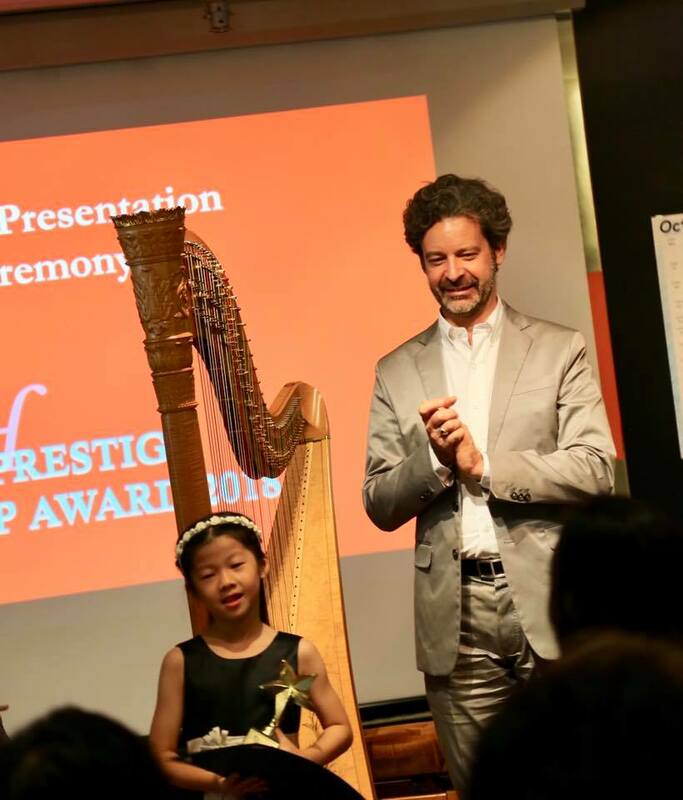 It was such an honour to have receive the awards from the maker of such fine harps! Well done everyone, for conquering and completing Prestige Award successfully! It has been an amazing journey of pushing personal boundaries and achieving this new harping milestone! 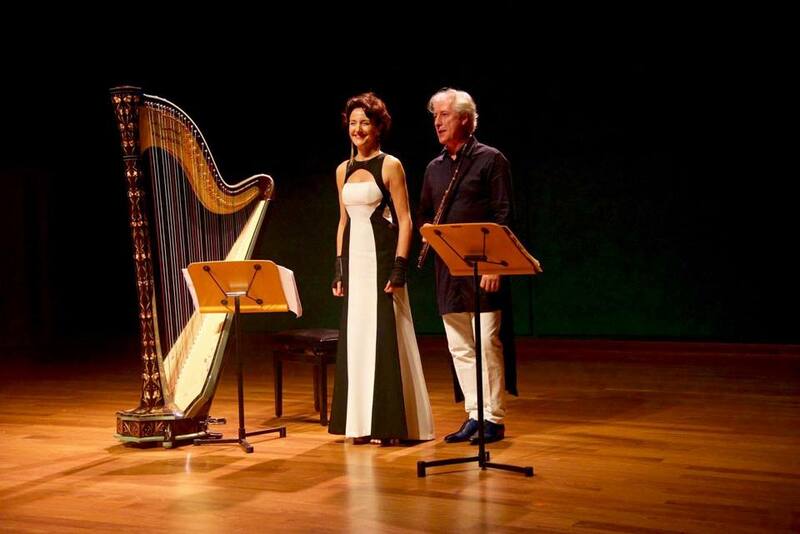 Finally, the long anticipated Harp Recital with Isabelle Moretti! 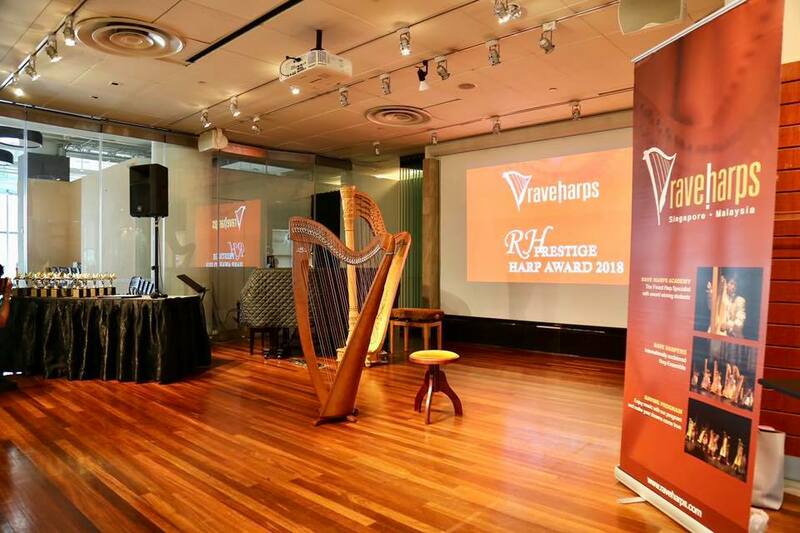 The night started off with a line of performances by the top-scorers of the Rave Harps Prestige Award. From Grandjany to Andres, the night was filled with marvellous music and sensational performances. 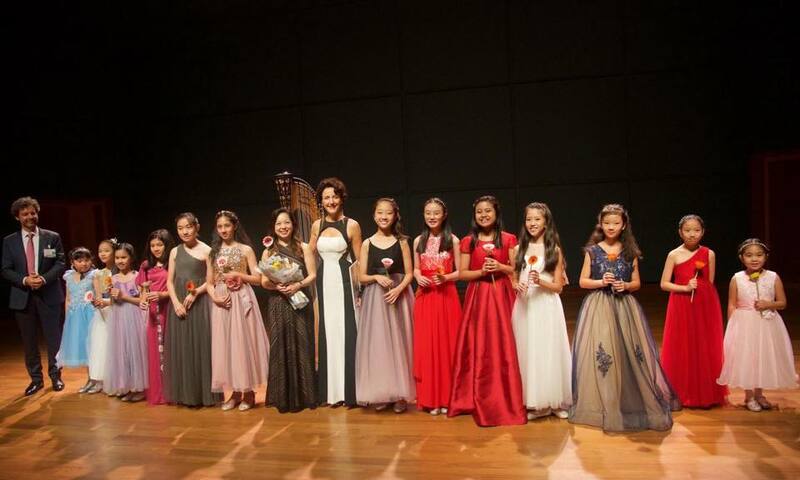 The audience were delighted and awed by these young, talented harpists. 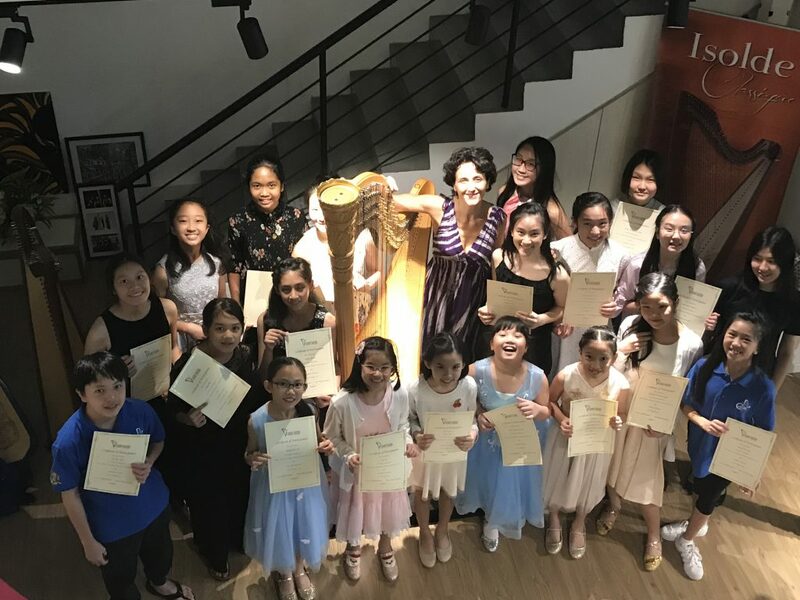 May this night mark the beginning of a great harp journey ahead for some, another momentous performance for others, and most of all, an experience never forgotten! Right after the intermission, the Recital Studio settled down once again, for Isabelle Moretti to emerge from backstage. When she did, an immediate applause broke the silence, welcoming her into the studio. The moment that Isabelle Moretti placed her hands on the string, every person in the room sat forward, and inclined their ears. Each phrase of music was perfectly breathed into, and each note reverberated throughout the studio. 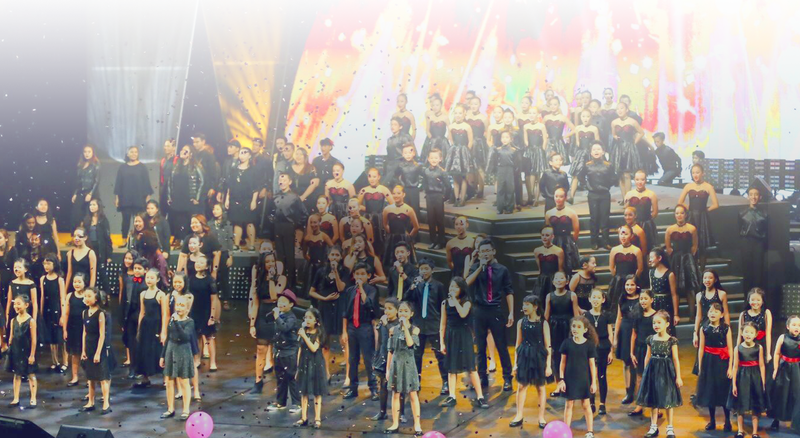 Each piece gifted us a different mood and dance, bringing us through 45 minutes worth of repertoire, that left us wanting more. As she finished her last piece, the audience erupted into a resounding applause, only brought to a halt by a special surprise performance with Isabelle Moretti’s best friend, José-Daniel Castellon. 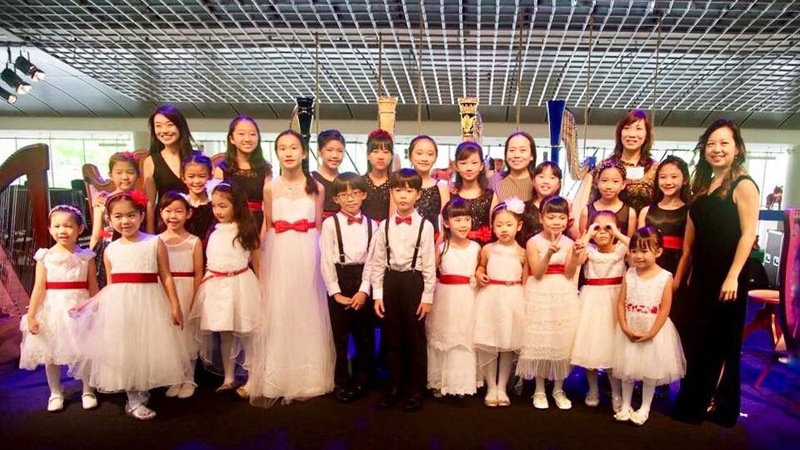 The flute and harp duet, put their admirable musicianship and friendship on display. Finally, they stood side by side, joined also by the Prestige Award Top-Scorers, and bowed before the audience once more to bring the night to a close. It is indeed a night to remember. OCTOBURST this year brought us on a Journey to Dreamland, and it was an eventful one indeed! Both the Rave Harpers and the crowd at Esplanade’s Concourse thoroughly enjoyed the performance, from the exciting song choice to the story told. It was also the first ensemble performance for a few of the young ones. Overall, it was an enjoyable concert for one and all! It was a great way to celebrate Children’s Day! Well done, everyone!